In 1893, the Washington State legislature quietly began passing a set of laws that essentially made homosexuality, and eventually even the discussion of homosexuality, a crime. By contrast, one century later Mike Lowry became the first governor of the state to address the annual lesbian and gay pride rally in Seattle. Gay Seattle traces the evolution of Seattle’s gay community in those 100 turbulent years, telling through a century of stories how gays and lesbians have sought to achieve a sense of belonging and equality in Seattle. Places of refuge from this imposed social exile were created in underground theater and dance clubs: the Gold Rush-era burlesque shows, modern drag theater, and in mid-century the emergence of openly gay bars, from the Casino to Shelley’s Leg. Many of these were subjected to steady exploitation by corrupt police – until bar owner MacIver Wells and two Seattle Times reporters exposed the racket. The increasingly public presence of gays in Seattle was accompanied by the gradual coalescence of social services and self-help organizations such as the Dorian Society, gay businesses and advocacy groups including the Greater Seattle Business Association, and the stormy relationship between the Vatican, Seattle’s Catholic hierarchy, and gay worshippers. Gay Seattle reveals the complex and often frustrating process of claiming a civic life, showing how gays and lesbians have engaged in a multilayered struggle for equality against the forces of state and city politics, the police, the media, and public opinion. The emergence of mainstream political activism in the 1970s, and ultimately the election of Cal Anderson and other openly gay officials to the state legislature and city council, were momentous events, yet shadowed by the devastating rise of AIDS and its effect on the homosexual community as a whole. 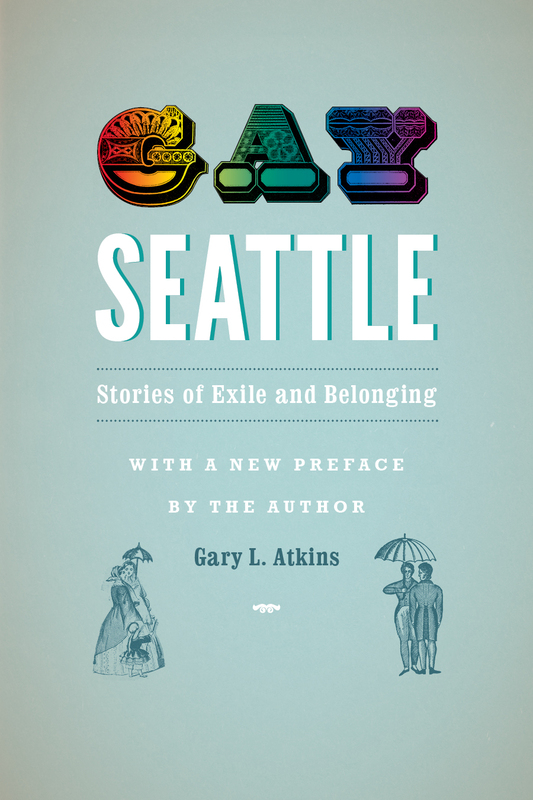 These stories of exile and belonging draw on numerous original interviews as well as case studies of individuals and organizations that played important roles in the history of Seattle’s gay and lesbian community. Collectively, they are a powerful testament to the endurance and fortitude of this minority community, revealing the ways a previously hidden sexual minority not only “comes out” as a people and establishes a public presence, but how it also “came home” in the sometimes rowdy, sometimes puritan Pacific Northwest .